We Need YOU to Join the TMP Fan Squad! Sunday, September 25, was Gold Star Family Day. The support you showed was overwhelming and it's time to begin preparing for next year's Gold Star Family Day. Learn more in our first article. The Marine Corps Marathon is just over three weeks away and we need you to join the TMP Fan Squad and show your support for our TMP runners. Learn more in our second article. 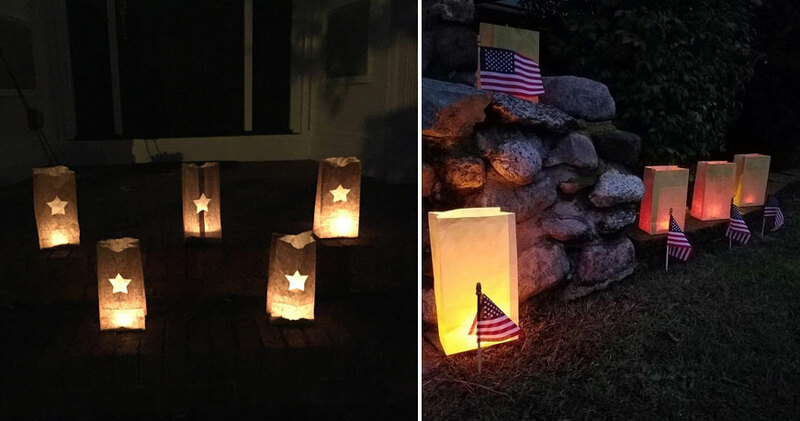 Sunday, September 25 was Gold Star Family Day, a day on which military supporters across the country came together to show their support for Gold Star family members and to keep the memories of those who have made the ultimate sacrifice on behalf of our nation alive. The support you all showed this year was overwhelming and we can't thank you enough; it was truly humbling. We are pleased to announce that we received hundreds of photos of luminary events across the country, and they've been added to the Luminary Initiative website. 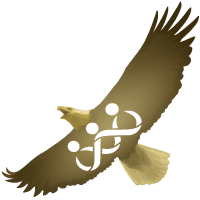 We encourage you to take some time to view them and see how others honored our fallen this year, as well as to draw inspiration for events in 2017. 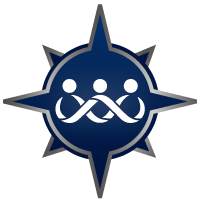 We would also like to encourage you to sign up for our Luminary Initiative newsletter and join the Luminary Initiative Facebook Group to stay up to date on the latest Luminary Initiative news and begin preparing for next year's Gold Star Family Day. Thank you again for your continued support of Gold Star families. 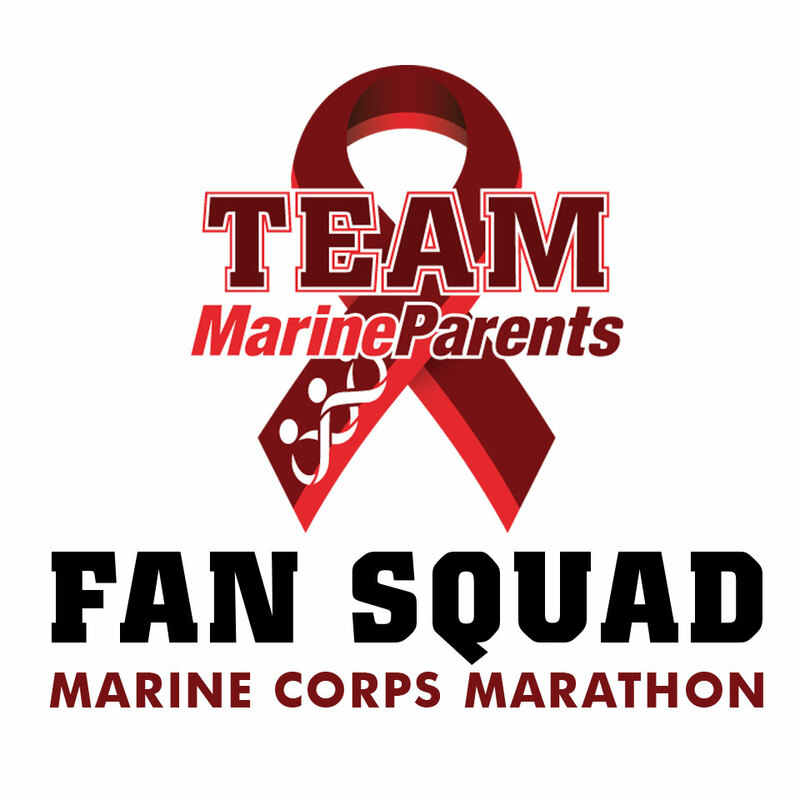 The TMP Fan Squad is a group of individuals who provide the inspiration, the encouragement, and the backbone of support to the members of Team Marine Parents. There is power in numbers on social media. Help us spread the word about Team Marine Parents across Facebook and other social media platforms. For the weekend of October 28-30, 2016, please change your profile image to show your support of the TMP members who will be participating in this year's Marine Corps Marathon. With our country currently becoming more and more politically polarized, it is important to remember that our men and women in uniform are not serving on behalf of a political party or interest—they are serving our country on behalf of all Americans, regardless of individual political beliefs. As such, one of the ground rules I put into place when founding Marine Parents is "no politics." *Image info: Voting booths (U.S. government photo/released). 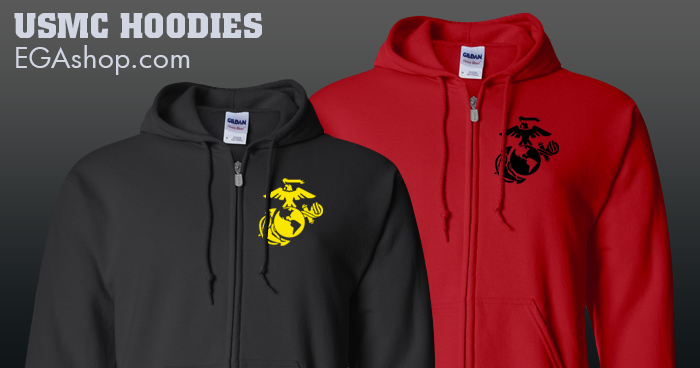 With the Marine Corps' birthday just over a month a way, now is the time to make sure you get your Marine Corps birthday gear from the EGA Shop! 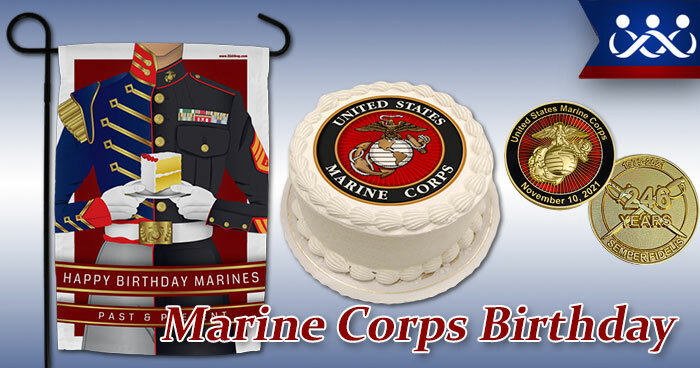 The EGA Shop offers a variety of Marine Corps birthday-themed items, including birthday shirts , birthday coins, and more, as well as gifts for your Marine, to help you and the Marine in your life celebrate this most-hallowed of days. 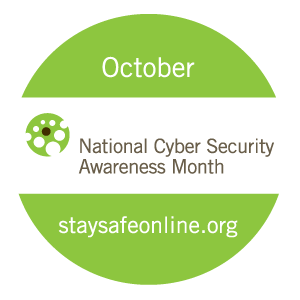 There are a number of terms and acronyms you'll want to learn and know while you or a loved one is navigating the process of leaving active service. To make this process more convenient, After the Corps has compiled a list of common terms and their definitions for you. Hearing warriors tell their stories can help fellow warriors know that they have not been left behind. Reading stories from fellow warriors lets these men and women know that they aren't in this fight alone. 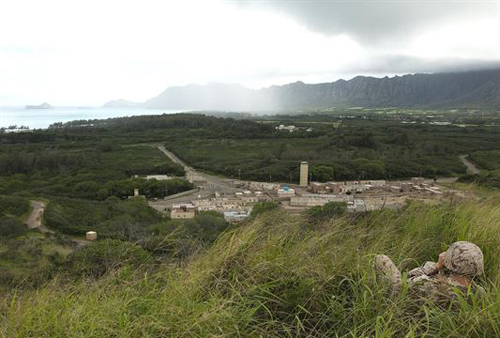 *Image info: A Marine with 3rd Battalion, 3rd Marine Regiment observes a mock Afghan village and role-players through his binoculars from an observation point outside the village during the Combat Hunter course at Marine Corps Training Area Bellows, Hawaii, April 17, 2013. The goal of the training exercise was to identify things out of place and report them to fellow Marines. (USMC photo by Lance Corporal Matthew Bragg). 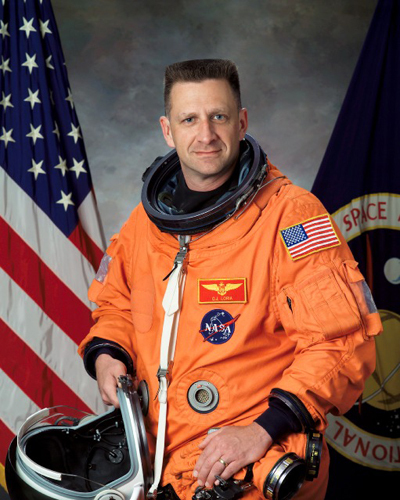 *Image info: Christopher Joseph "Gus" Loria's NASA photo (image released). 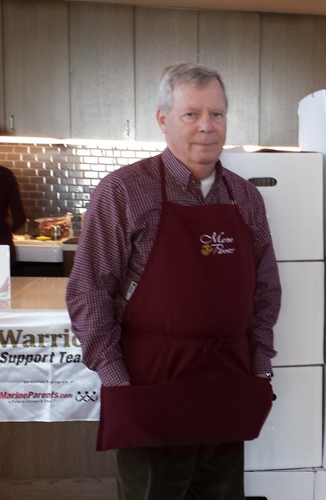 This week's featured volunteer is a proud Marine father from Maryland--Joe Densford. Joe has been volunteering with Marine Parents since 2005 when his oldest son was deployed for the first time. At the time, Joe was looking for a way to support the military in general and the Marines specifically, and he's been a dedicated Marine Parents volunteer ever since. *Image info: Joe Densford (Image used with permission). This week in Marine Corps history, Second Continental Congress held a meeting in Philadelphia, Pennsylvania, in which they used the word "Marines" on one of the earliest known occasions and Marines under the command of future Commandant of the Marine Corps George F. Elliott captured Noveleta, Luzon, Philippines. *Image info: (Left) An artist's sketch of Tun Tavern, the birthplace of the United States Marine Corps. (image released). Major General James Lukeman recently announced that the Marine Corps’ Training and Education Command is seeking to optimize the mental and physical performance of all Marines and sailors. The Marine Corps has announced that it's looking to slim down the size of MREs in an attempt to make Marines lighter and more efficient on the battlefield. *Image info: (Left) U.S. Marines with Special-Purpose Marine Air-Ground Task Force Crisis Response-Africa climb over parallel bars during an obstacle course on Rota Naval Base, Spain, Feb. 26, 2015. (USMC photo by Lance Corporal Christopher Mendoza). (Center) Marines with 2nd Supply Battalion, Combat Logistics Regiment 25, 2nd Marine Logistics Group take Meals, Cold Weather during the drawdown of Cold Response 14 at Evenes, Norway, March 19, 2014. (USMC photo by Lance Corporal Sullivan Laramie). (Right) Sergeant Spencer Jimick, a squad leader with Special Purpose Marine Air-Ground Task Force Crisis Response-Africa aims his M9 Beretta at a target during a live-fire range near Naval Air Station Sigonella, Italy, September 10, 2016. (USMC photo by Corporal Alexander Mitchell).